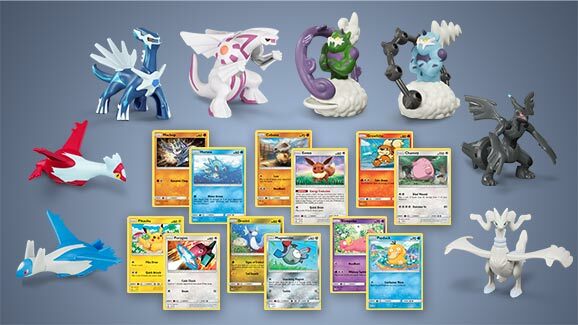 McDonald’s has announced that their Happy Meals in the United States will contain Legendary Pokémon figures and Pokémon TCG promo cards for a limited time until November 12th, 2018. 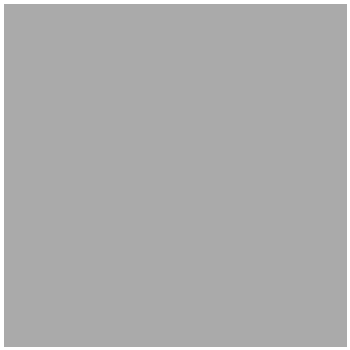 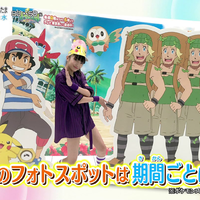 An activity sheet and coloring sheet from this Happy Meal has been added to an Imageboard thread. 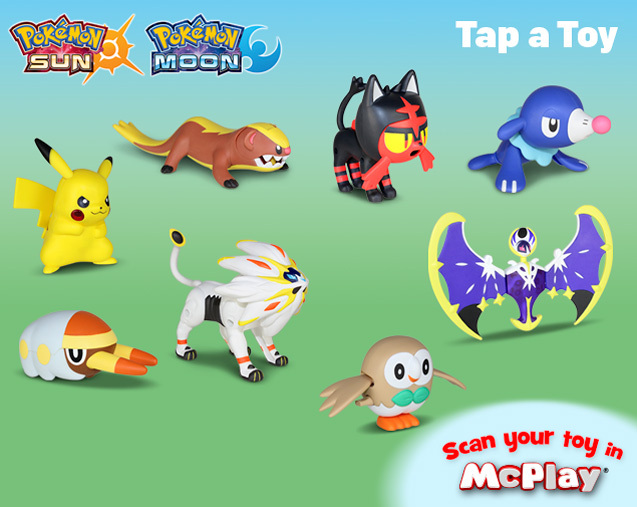 Something legendary is coming to McDonald's. 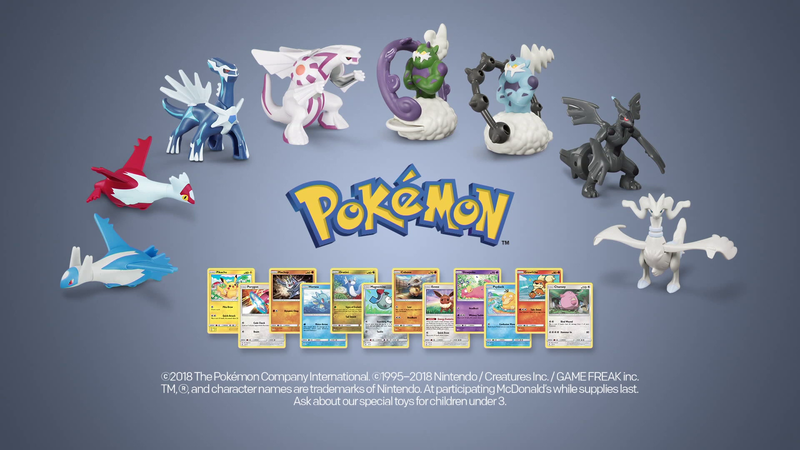 Through November 12, Happy Meals at participating McDonald's restaurants will feature a toy figure of a Legendary Pokémon, as well as 1 of 12 cool promo cards for the Pokémon Trading Card Game. 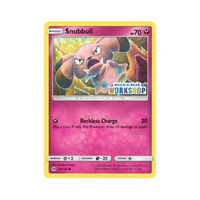 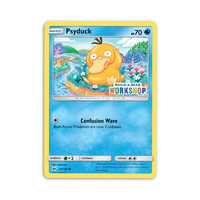 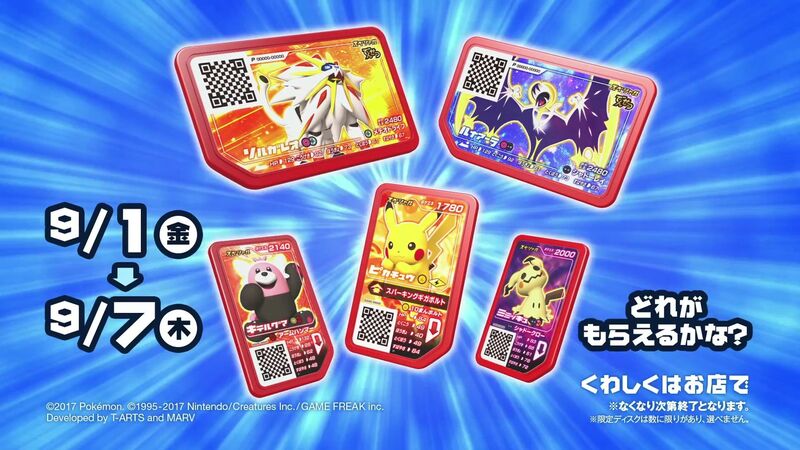 The cards feature a special foil treatment that can only be found in McDonald's Happy Meals. 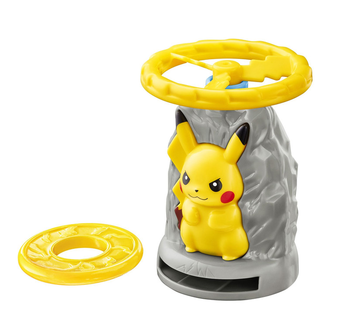 The Legendary Pokémon-themed Happy Meals won't be around long, and they're only available while supplies last. 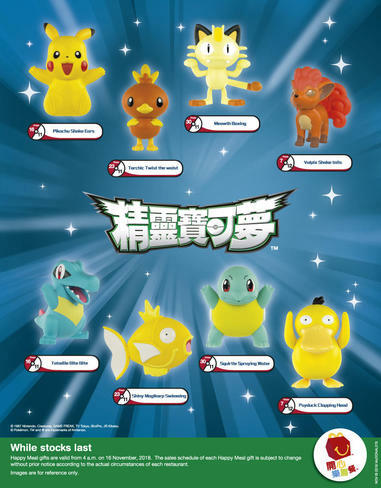 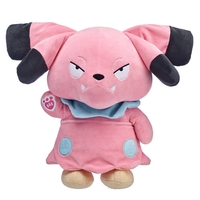 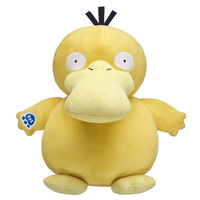 Enjoy the fun of Pokémon the next time you open a Happy Meal at McDonald's! 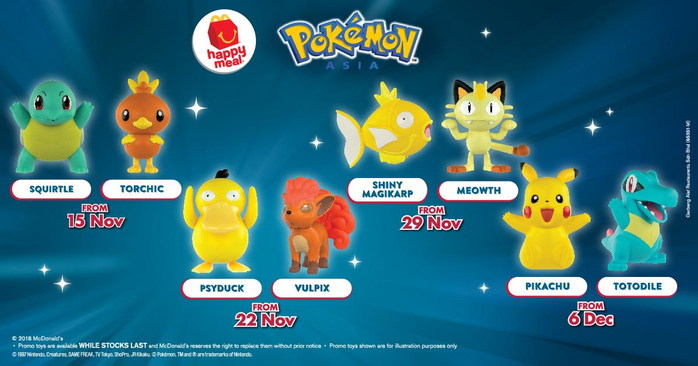 From November 7th, 2017 until December 4th, 2017, participating McDonalds locations will be selling Happy Meals with a Pokémon Toy and TCG card. 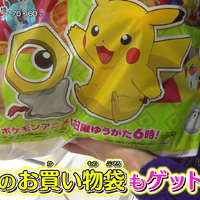 A Happy Meal with Pokémon Appeal! 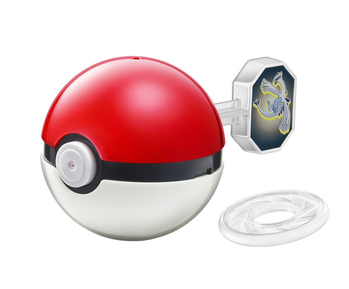 McDonald’s Happy Meals are set to get even happier with Pokémon inside! 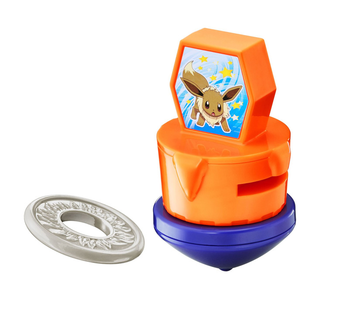 Hamburgers (or cheeseburgers…or chicken nuggets) are great, but everybody knows they're even better when you get a cool prize along with them. 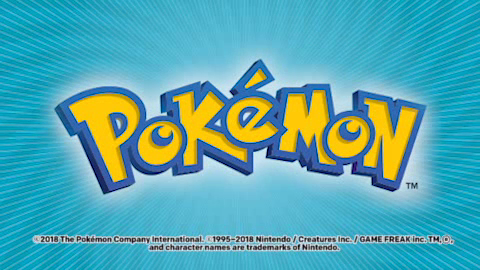 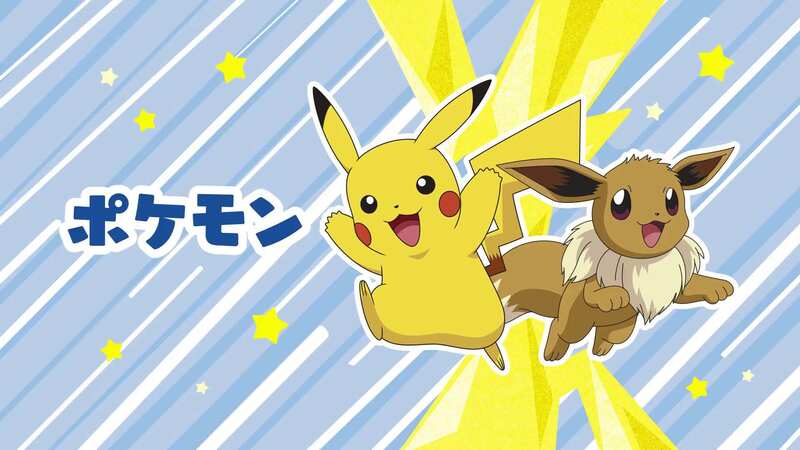 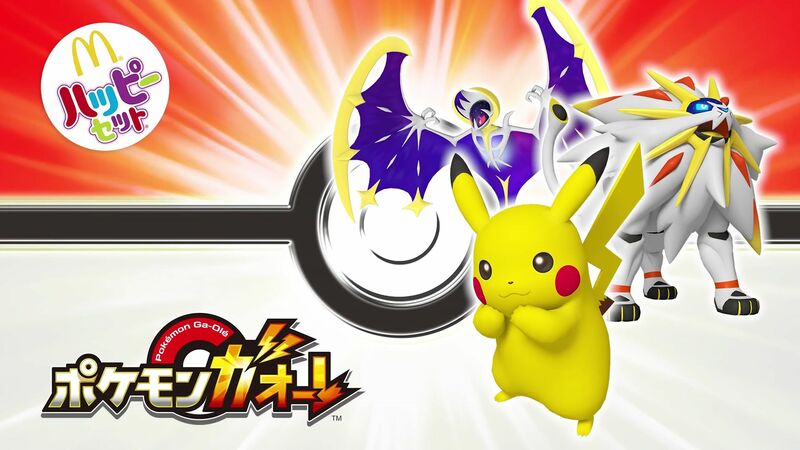 Good news: Pokémon is teaming up with McDonald's to bring you some fantastic Pokémon toys and Pokémon Trading Card Game cards featuring Pokémon from the Alola region of the Pokémon Sun and Pokémon Moon video games. 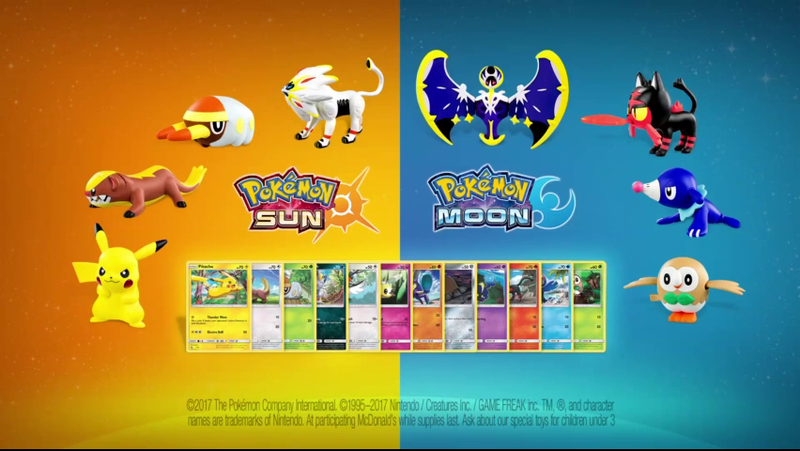 Starting November 7, 2017, and running through December 4, 2017, be on the lookout for Happy Meal toys featuring Pikachu, Rowlet, Litten, Popplio, Grubbin, Yungoos, Solgaleo, and Lunala. 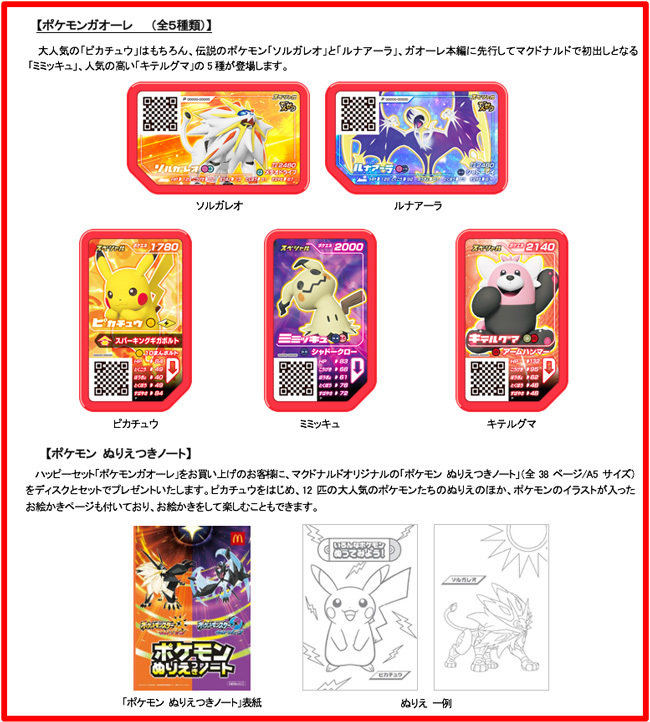 Hungry Trainers will also get one of 12 Pokémon TCG cards to collect and trade with their friends. 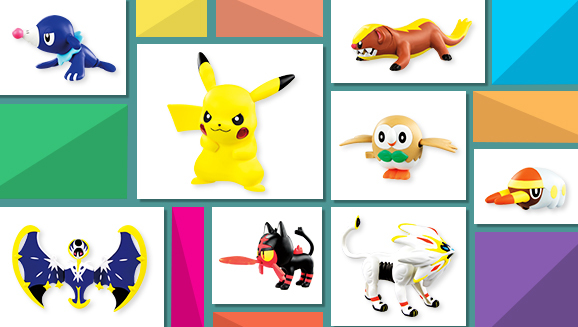 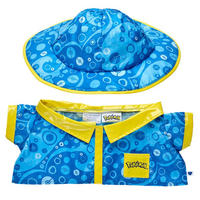 So bring your appetite, and get ready to add some great new toys to your collection! 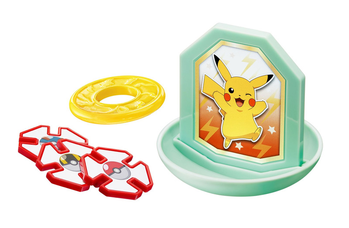 McDonald's Japan has announced that Happy Sets in Japan from September 1st, 2017 until September 7th, 2017 will include 1 of 5 different Pokémon Ga-Olé Disks. 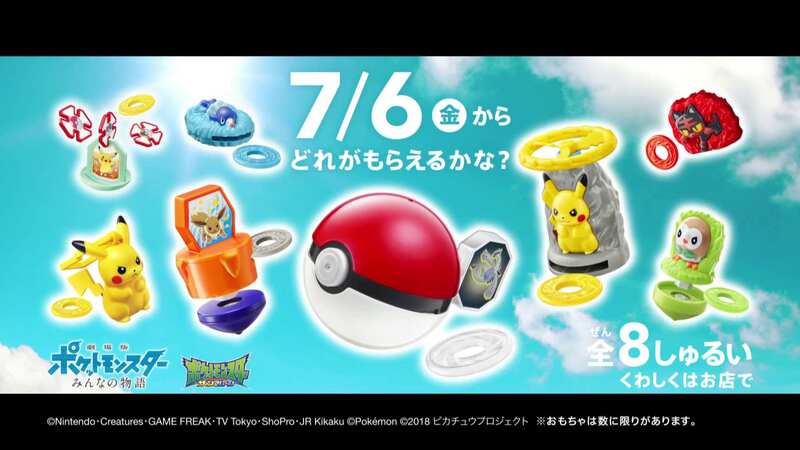 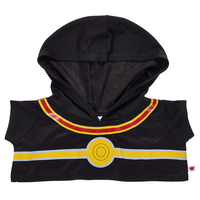 Included in this set are: Solgaleo, Lunala, Pikachu, Kiteruguma and Mimikyu. 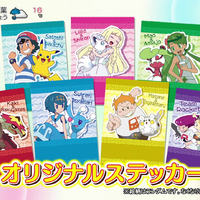 The Happy Set will also include an A5 sized Coloring Note. 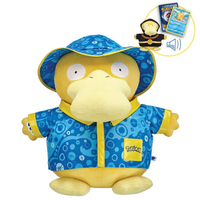 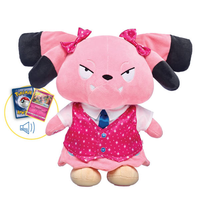 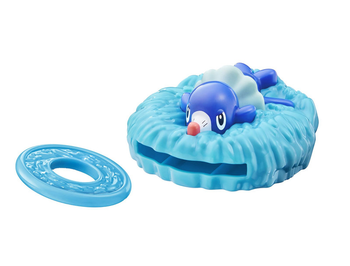 Full details of each disk have been added to the Pokémon Ga-Olé Happy Set 2017 content page. 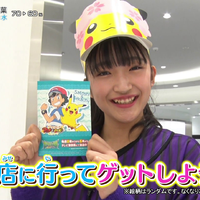 The "Happy set" is a popular menu for children that began selling in 1987 and is celebrating its 30th anniversary this year. 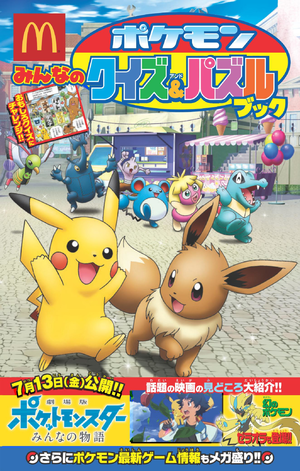 Main menu such as the Cheese Burger and Chicken McNuggets, drinks and other menu items are popular but there is over 100 menu combinations for people to choose from such as vegetable juice and sweet corn. 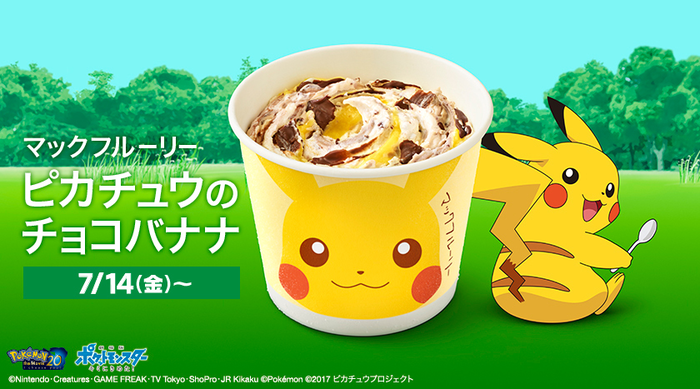 McDonalds Japan has announced that the Pikachu Chocolate Banana McFlurry (ピカチュウのチョコバナナ) will be available to purchase in Japan starting on July 14th, 2017 for 290 yen including tax. 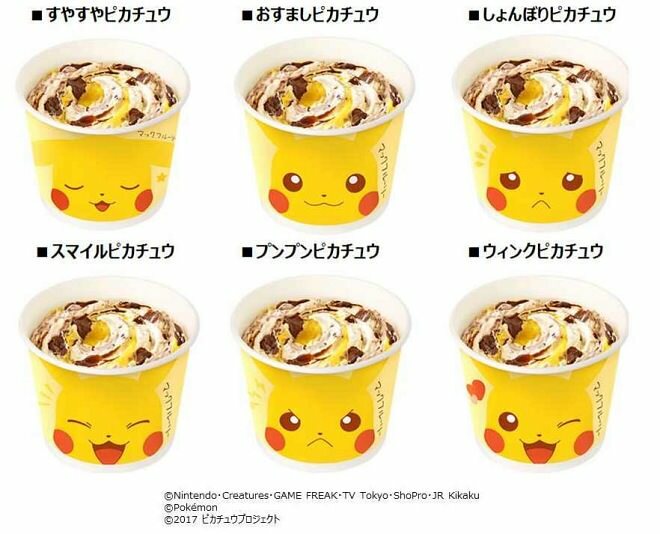 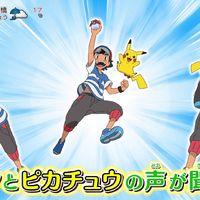 There are six different cups to collect, each featuring Pikachu's face with a different expression.